An Italian ferry with a marine LNG fuel system has entered service. MAN Energy Solutions’ MAN Cryo has delivered and installed the system aboard the ‘Elio’ at the Sefine Shipyard in Yalova, Turkey. Elio is a double-ended RoPax ferry, designed by LMG Marin, for Italian shipowner, Caronte & Tourist. The 133-m long and 21.5-m wide ship will have a capacity of up to 290 cars on two vehicle decks, and 1,500 passengers with a service speed of 18.5 knots. 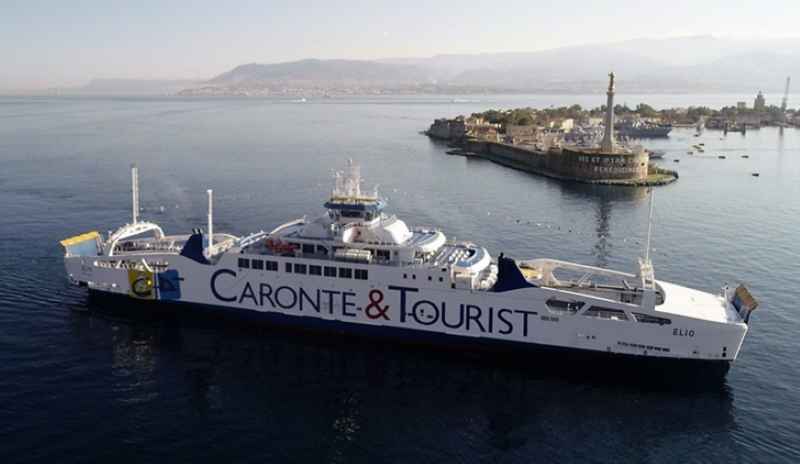 The system will supply gas to the ferry’s three dual-fuel propulsion engines and which will primarily operate on the strait of Messina between the Italian mainland and the Sicilian city of Messina. MAN Cryo’s scope of supply covered: vacuum-insulated type C tank – 150 m3 gross volume; TCS with airlock, valves, piping and vaporization equipment; bunkering station; heat-exchanger unit; and freestanding control and emergency shut-down system. Louise Andersson, Head of MAN Cryo, said: “This project is of strategic importance since it iss the very first RoPax vessel in the Mediterranean to operate on LNG. It follows MAN’s vision to become a leading supplier in the regions where we see a strong growth of demand for LNG solutions”. Previous story New collaboration will help expand hydrogen station network in the U.S.